Just a few years ago, The Cove explored a depressing but eye-opening look at the state of dolphins as a magnificent, unappreciated animal that did not bode well in captivity, and was heavily overkilled in a small Japanese fishing town. 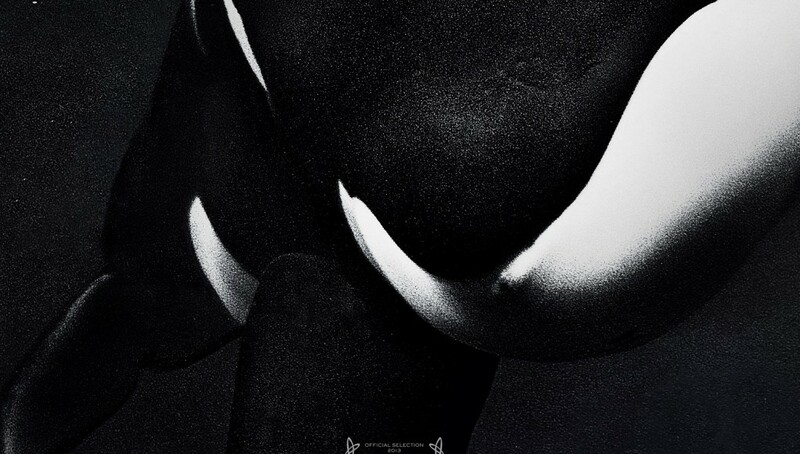 Last year, an orca was the catalyst in Rust and Bone. Similarly, Blackfish has focused on how a series of orca attacks on trainers in captivity are not isolated incidents, but an effect of corporate ownership’s inability to provide safe environments for both humans and orcas, as well as spinning incidents as human error. Blackfish begins by presenting the death of a veteran trainer Dawn Brancheau at SeaWorld, Orlando in 2010, with SeaWorld releasing information about the incident as trainer error. The documentary then begins to trace the history of the orca that had killed Dawn. Tilikum, a massive whale—even by typical standards—was responsible for two deaths in the previous twenty years. With corporate owners placing blame on human error, Tilikum continued to perform and breed. Not only was Tilikum an issue, nearly seventy incidents with orcas have been recorded—all performing in captivity, sometimes even before a crowd. Except these were not incidents, they were attacks. One of the most stunning revelations is that trainers, especially at SeaWorld, do not have to be experts or have degrees. They just have to have a desire to learn, perform a written script, and have an enthusiasm for the occupation. Yet, all the trainers said that same thing: they had always felt a bond with these orcas, especially Tilikum. These orcas showed responsiveness when socializing with humans, conformed to certain expectations, and even seemed to express affection towards fellow trainers. The film even explains that many of the most experienced trainers became victims of these orcas. Each of these fatal or near-fatal accounts were either kept from working trainers or spun to make them believe that fellow trainers were liable for their own fates. What might seem to be an obvious connection to the orca’s more well-known name—killer whales—Blackfish posits that these orcas were not innately aggressive or that the trainers were not at fault. Instead, the documentary asserts that these seventy or so accounts are a clear indication that the environments that these orcas were kept in were toxic. Despite the complex orca social herds, orcas were placed arbitrarily in tanks, and according to these experts, orcas have complex social hierarchies which can resulting in bullying. 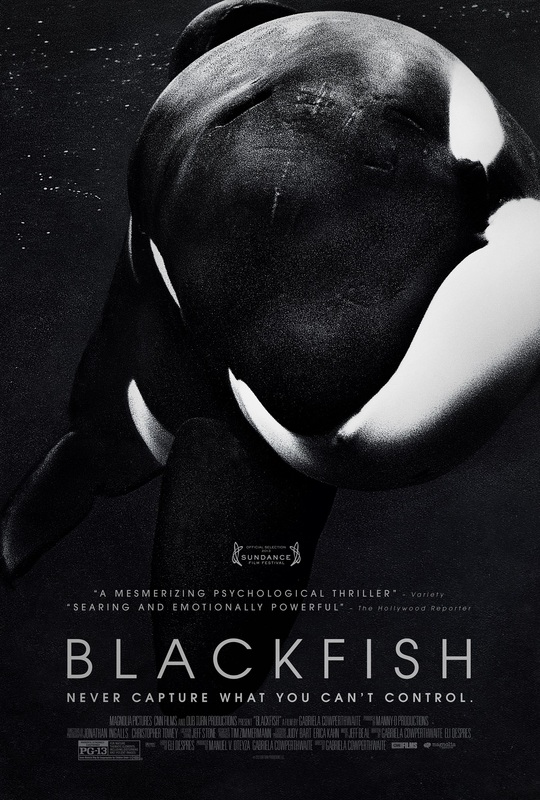 Blackfish uses talking-head interviews from experts, eye-witnesses, and even former orca trainers. Gut-wrenching audio recordings, spectator-filmed video, and video recordings show how quickly seemingly typical performances become fatal. There is no doubt that the documentary is one-sided, but a note at the end of the film states that the filmmakers were repeatedly turned down by SeaWorld to contribute to the film, instead releasing a rebuttal in a press release. Blackfish comes down to this thesis: orcas have experienced great trauma in captivity and in negative training practices. By using subversive tactics which appear to be playful, orcas quickly turn aggressive, often times resulting in the death of a human. Corporations have continued to spin attacks as a result of human error, rather than recognizing that their captivity environments are small and restrictive. Where the spectator’s opinion lies after the documentary is not the end goal, because the documentary points towards opening a dialogue. Who are we to allow orcas, dolphins, and other sea creatures to perform as clowns? Today, despite his history, Tilikum continues to be a clown, or more appropriately, a ham, as he only appears as the closing act at shows to inflict that last large splash. Blackfish itself has inflicted a splash in hopes of opening a dialogue on whether or not we should continue to place such massive animals into captivity and force them to perform.